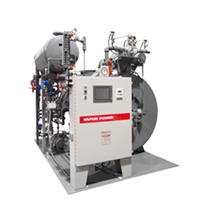 Vapor Power understands the steam requirements and supports the paper and corrugated board markets with steam equipment for a variety of installations. Today’s corrugators require more steam than the previous generation since they run with greater output. The Circulatic steam generator is available in capacities up to 600 BHP and has a compact footprint, can go from a cold start to full output in less than 5 minutes, and is available in design pressures required for the industry. The Circulatic is also ideal for retrofit applications since our 500 BHP can fit in less space than a 300 BHP firetube boiler. 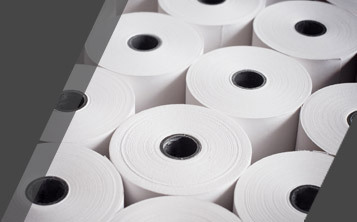 Smaller footprint means savings on construction costs, not to mention the quick response to load changes which provides flexibility for the owner, depending upon the type of corrugated product being manufactured. 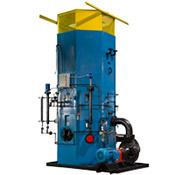 In areas such as the Pacific Northwest or Quebec where electric power is inexpensive, a high voltage electrode boiler can also be an excellent fit for your steam needs. This may be a relatively lower capacity unit for a corrugated application or one of our highest capacity BBJ electrode boilers for the high steam volume required for a paper mill. 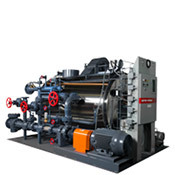 The BBJ line of Electrode Steam Boilers are available in sizes from 3,000 to 34,000KW, 10,000 to 113,000 PPH, pressures from 100 to 500 psig, and supply voltage of 4,160 to 13,800 volts. Another alternative is a thermal fluid heater for corrugators that require thermal fluid instead of steam for the heat medium. Vapor Power thermal fluid heaters are available in sizes from 400,000 BTU/HR to 20,000,000 BTU/HR and temperatures to 750° F.